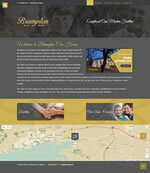 Brampton Care Home is an upmarket modern Care Home situated just off the Main Street in Oranmore, Galway a short distance from Galway City. It has an unrivalled location beside shops, bars, restaurants, coffee shops and all the facilities the bustling town of Oranmore has to offer. No other care home in Galway offers such a unique town centre location superbly integrated with the local community facilitating easy access by community groups, schools, local musicians, GP’s etc. In fact our local doctors are located directly across the street and Keane’s restaurant & bar is a stone’s throw away not to mention many other coffee shops and eateries within a very short walk. You can bring your loved one to eat at the many eateries within a short walking distance or indeed watch the sun go down over Galway Bay at Oranmore Castle nearby. 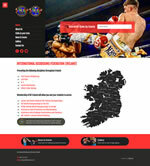 International Kickboxing Federation Ireland Promote the following disciplines throughout Ireland Full Contact Kickboxing, Low Kick, K-1, Junior Kickboxing, White Collar Boxing. Membership of IKF Ireland will allow you and your students to access Junior and Senior National IKF Ireland Championships, IKF World Championships in the USA, WTKA Unified World Championships in Europe, Assistance with Promotions and Matchmaking, Assistance with Gradings Examinations and Seminars, IKF Ireland’s Annual General Meeting. Cúirt Na Rásaí is an exclusive apartment complex situated just minutes from Galway City and overlooking the world famous Ballybrit Racecourse. This 32-unit complex is unrivalled in its location and superb design. All apartments are fully equipped, very tastefully furnished and boast the very best in modern facilities. 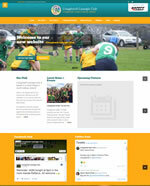 Craughwell Camogie Club is based in a small village in south Galway, Ireland. It was founded in 1986 by Michael Geoghegan, Carmel Gilligan and John Keane (RIP). They have approximately 257 members with growing numbers each year. Teams start at under six to Intermediates. They have won many various camogie titles over the years and brought silverware back into the club. They have had many players from Craughwell Camogie Club competing at a county level since our club was established. Some people ask – What is Live In – Care? This is where one of our professional carers lives with you in your own home – full time, seven days a week so there is always care on-hand whenever the client needs it. 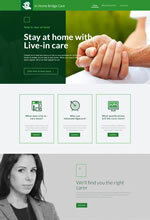 24 hour live in care is a different and wonderful alternative to residential care. No distribution or upheaval and it still allows the client to be independent, stay close to family and friends, keep their pets and most importantly stay in their own homes. ESI is an event management and promotions company that supplies the resources needed to bring an event or promotion to another level. They supply direct early stage consultancy, hardware and performers to all types of events, businesses and private individuals nationwide. They give their clients the benefit of dealing with a company who can offer a full turnkey solution to all their needs. 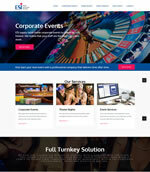 This is especially true when it comes to promotional campaigns and event management within the corporate entertainment and hotel and nightclub sectors. The WRDTF was established to research, develop and implement, using a partnership approach, a coordinated, regionally appropriate response to substance misuse. Their overall aim is to significantly reduce the harm caused to individuals and society by the misuse of drugs through a concerted focus on Supply Reduction, Prevention, Treatment, Rehabilitation and Research. Their objectives are to develop an integrated and well managed response to drug and alcohol problems. Website Description: This site is dedicated to the memory of our ancestors, and to the legacy they left us. 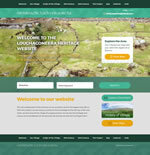 With this project, we are trying to preserve the knowledge of the old way of life and when we look around the village of Loughaconeera, we can see the heritage and culture of our forefathers on the ground. We should not and will not forget them.